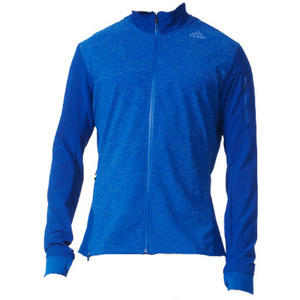 When you need a bit of extra coverage but don't want to overheat, this Men's running jacket is your go-to layering piece. The jacket is made with climalite® fabric that sweeps sweat from your skin to keep you dry. It features a reflective print across the front of the jacket.